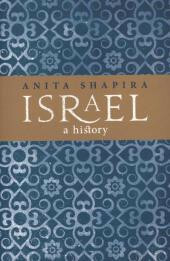 Definitive narrative history of Israel in the context of the modern Jewish experience and the Middle East.Written by one of Israel's most notable scholars, this volume provides a breathtaking history of Israel from the origins of the Zionist movement in the late 19th century to the present day.Anita Shapira's gripping narrative explores the emergence of Zionism in Europe against the backdrop of relations among Jews, Arabs and Turks, and the earliest pioneer settlements in Palestine under Ottoman rule. Weaving together political, social and cultural developments in Palestine under the British mandate, Shapira creates a tapestry through which to understand the challenges of Israeli nation-building, including mass immigration, shifting cultural norms, the politics of war and world diplomacy, and the creation of democratic institutions and a civil society. References to contemporary diaries, memoirs and literature bring a human dimension to the story of Israel, from its declaration of independence in 1948 through successive decades of waging war, negotiating peace, and building a modern state with a vibrant society and culture.Based on archival sources and the most up-to-date scholarly research, this authoritative history is a must-read for anyone with a passionate interest in Israel and the Middle East.